when it comes to assemble it. 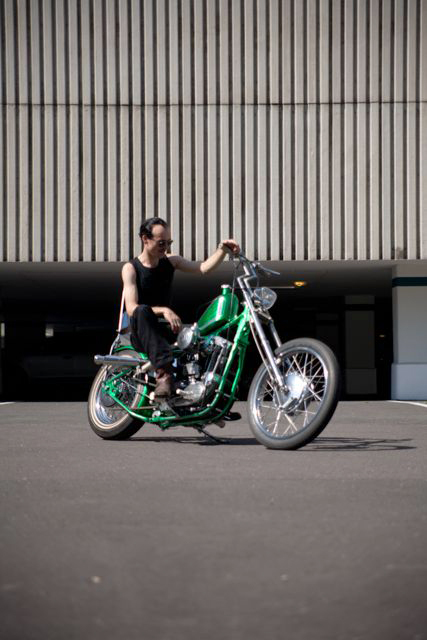 High Bars, long forks, high-torque motors, small gas tanks, funky paint, lots of chrome, high sissy bars, all in excellent craftsmanship and a rider which is a menace to society, because he is free, that’s what I saw when I watched late 60s biker movies. 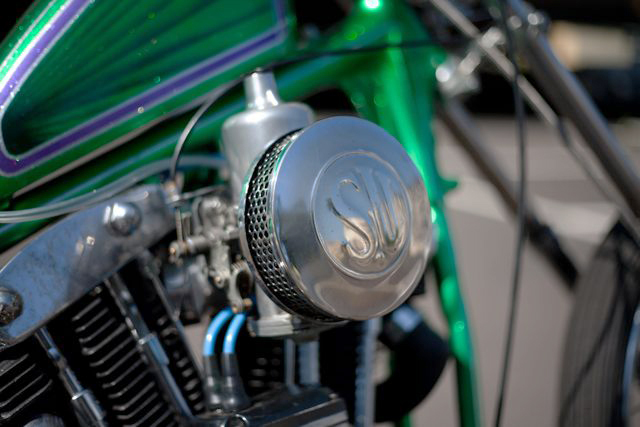 Many of them rode Ironheads, the rode them hard, they rode them fast and they rode them proud. 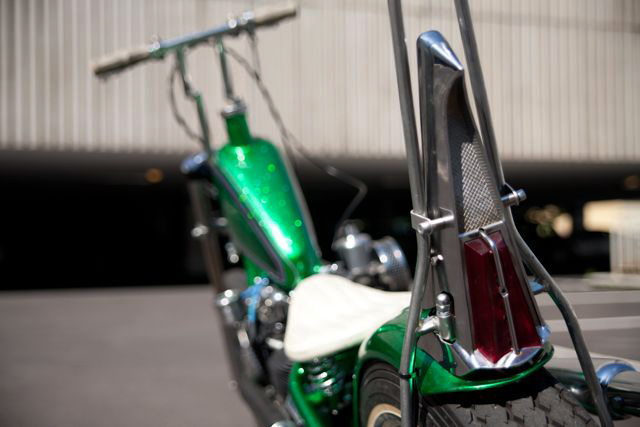 Whenever I see a wild Ironhead chopper it reminds me of these old films, freedom machines in my opinion. And it seems like many others see it also in a similar fashion. 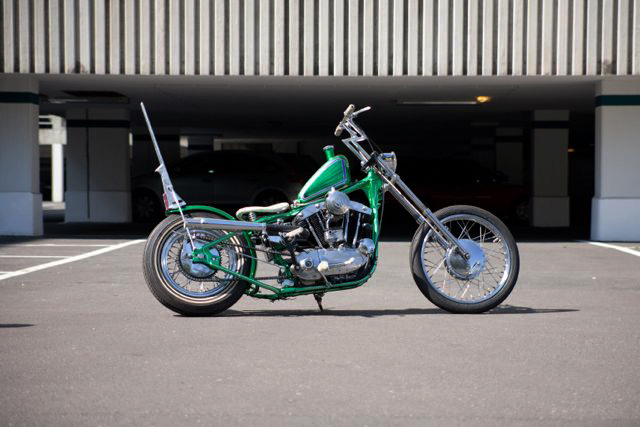 To get an old 900cc Sportster is not as easy as you think, the times in which people sell them for a small price to buy an “original Harley” Big Twin is gone. They know what they have. And so the search was more difficult than believed. I bought the engine on a swap market, it is a 66 XLCH, the version without electric start, perfect for a chopper, perfectly to fit around a magneto and leave out the battery. 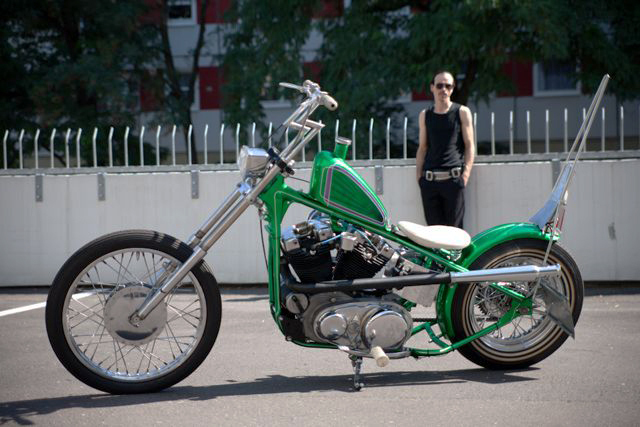 The frame of a 76-Ironhead I had already , origin it is for the 1000cc engine, but the 900cc fits without alteration. 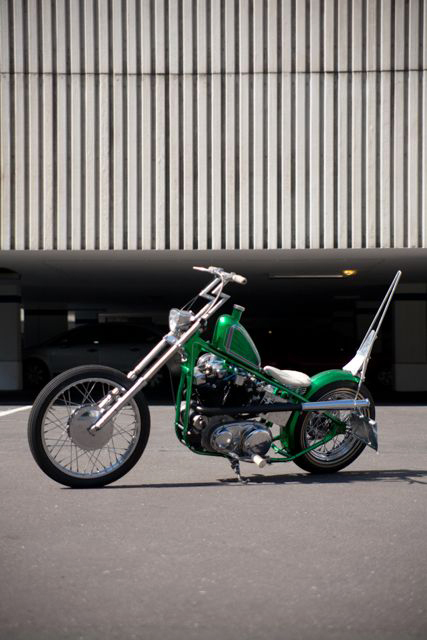 A good looking chopper needs a hard tail in my mind, so the frame has to change from swing arm to hard tail. 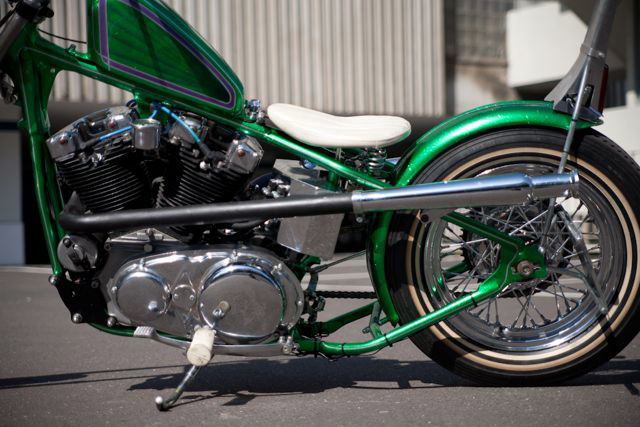 It is easy to get a manufactured hard tail section for it. In this case I decided for the weld on type, because of the better looking lines from the hardhead to the rear axle. But the area under the seat was a little bit difficult. To get it clean it was neccessary to cut out the original section and weld in a homemade bar. Then I took the change to rake it a little bit, but in my work process I forget to think about the fitment of the engine. After everything was welded, hard tail, gas tank, muffler, fender and seat mounts I try to get the engine in but it won´t. I cut away the upper engine mount, turned off both drain plugs and fortunately it went in with a little space, then I welded on the new motor mount in position and everything was ready for paint. 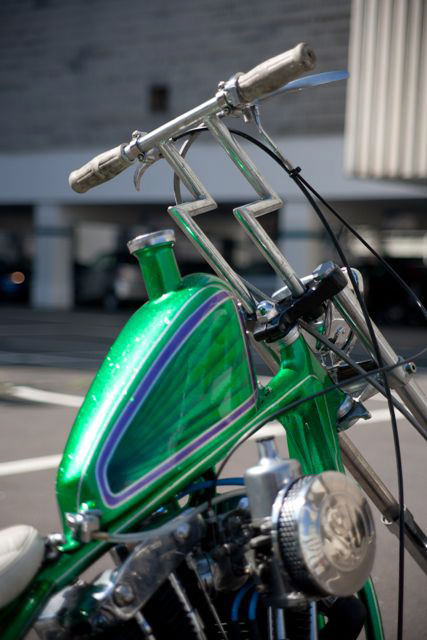 The best part of building motorcycles is when it comes to assemble it. Wonderful feeling to add the painted parts, the rebuild engine, the overhaul fork, the chromed rims etc. to a complete motorcycle. All the work of the past months was worth when you consider the hours in which the bike begins to start a new life. Maybe one time this bike plays a role in a movie, then it would certainly be a good movie.